We are excited to announce the new PRUMC app and improved giving platform! With the app, you will be able to easily access sermons, events, prayer requests, online giving and more – all on your mobile device. 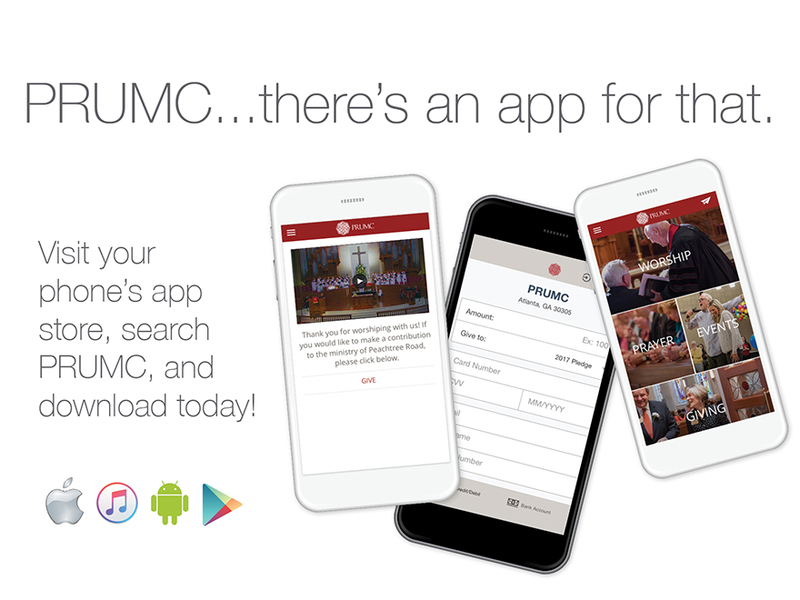 Visit your phone’s app store, search “PRUMC” and download – or simply click the quick links below. Be sure to “allow notifications” to receive updates and reminders. More features are in development so look forward to increased engagement in the coming months! Click here to find in iTunes store. Click here to find in Google Play store.